Hey, y'all! 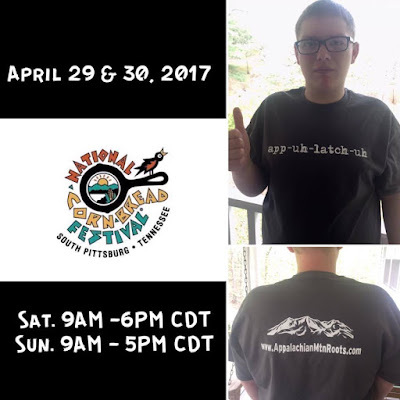 I've got some exciting news: my husband and I will be attending the National Cornbread Festival in South Pittsburg, TN for the first time on Saturday, April 29th. We decided to make it our wedding anniversary trip. If you are a regular follower here at Appalachian Mountain Roots, you know all about my love of cornbread. I wrote about it in my Cornbread & Milk post several months back. After hearing about the festival on the radio I thought, "A festival that's all about cornbread?! Sign me up!" We would love to meet any of you who plan on attending! My son is modeling the t-shirts that my husband & I will be wearing. If you see us out and about, please come over and say hey! Live music throughout the festival. Arts and Crafts from area vendors. Play games, ride carnival rides, and enjoy wandering through the booths that line the streets of historic South Pittsburg. Enjoy cornbread, handmade arts and crafts. Taste Southern, artisan treats like honey, fudge, and rock candies. The festival is packed with great family fun – including a Kid’s Corner with games, face painting, and inflatables! 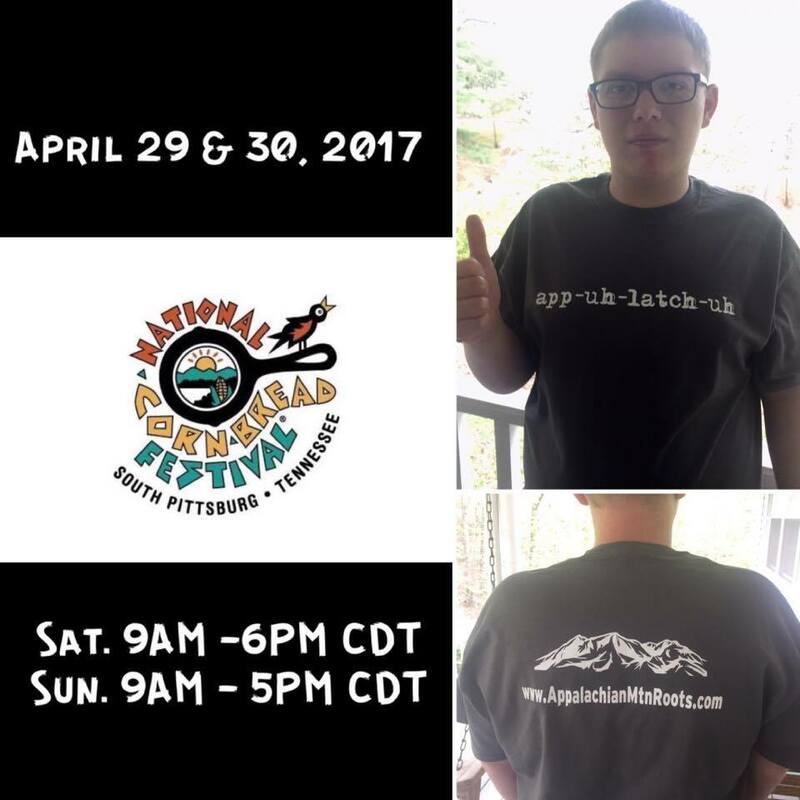 "app-uh-latch-uh/ Appalachian Mountain Roots" shirts!